Do you need someone you can trust to align your IT department to your business goals and lead your IT team to success ? Put it in our hands and you can rest assured we will help you to surpass those goals! IT supervision can be frustrating when you can't find the experience to make technology work for your business. We specialize in being the subject matter experts in IT to help shape, and guide your IT team to develop better habits from an experienced proven professional. With proper supervision you can increase productivity and reliability of your current IT infrastructure. We have specialist technicians ready to set up on-site and work through your issues. We can develop task tracking for your IT team and be on-call for additional expertise. 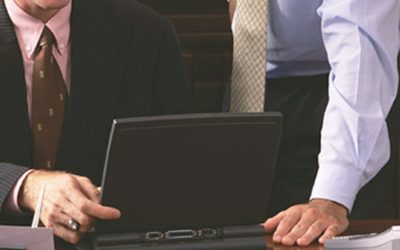 We also work closely with your senior management in regular meetings to review IT performance.